When you need something that will turn heads, try one of our statement pieces. 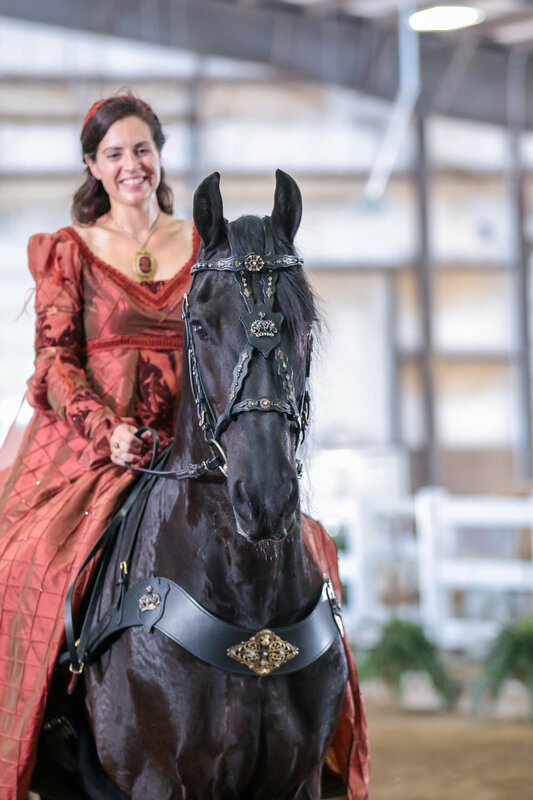 Travel in style to your next expo, parade, or costume class. 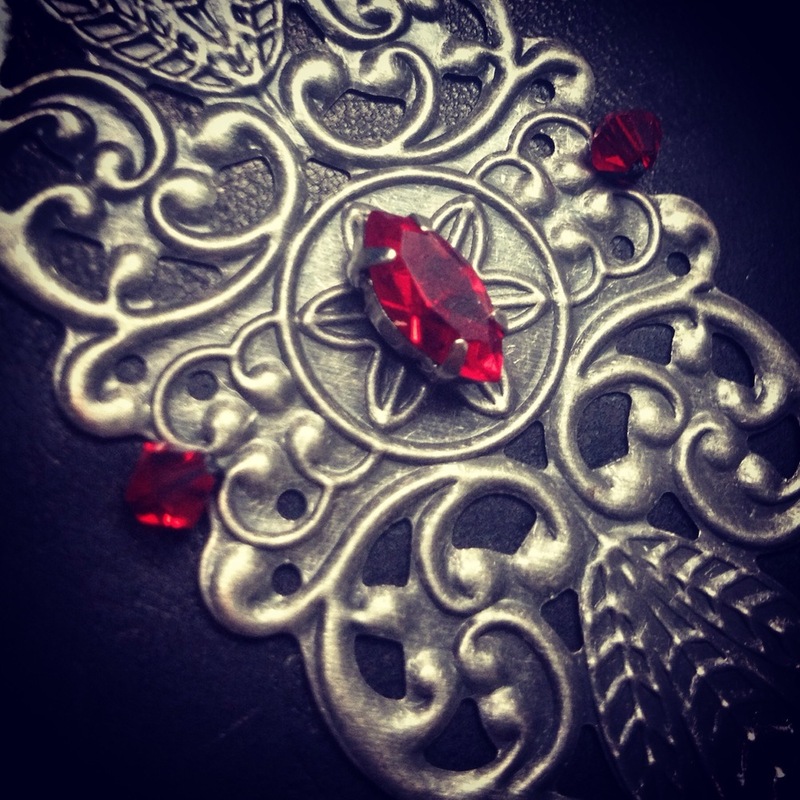 Our baroque bridles are custom from start to finish. Everything is decorated from the browband and caveson, to the cheek pieces and reins, and face plate. 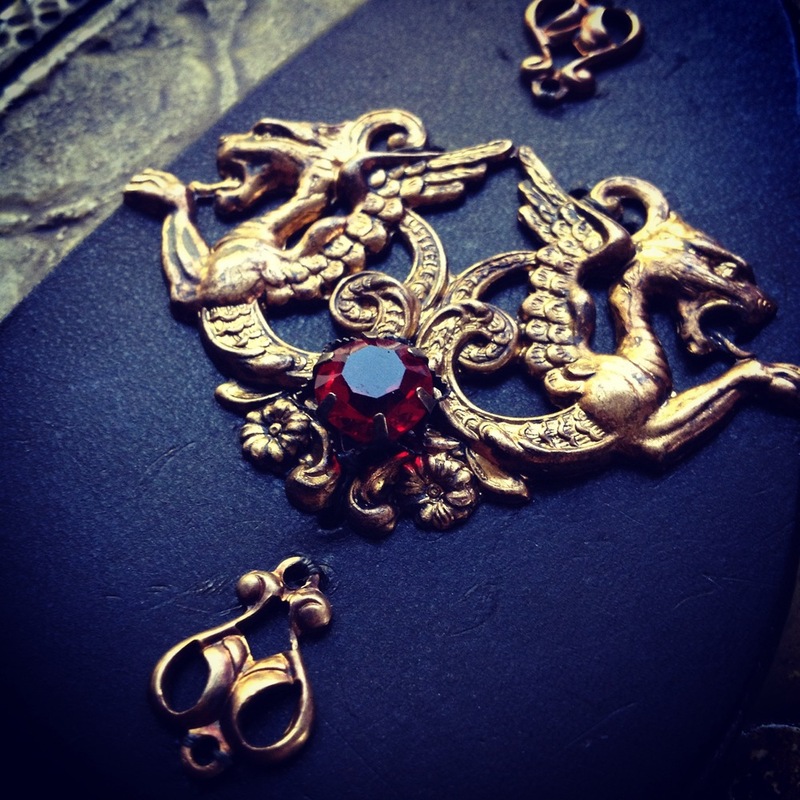 We are happy to create something lovely to match your costume. Prices start at $750 and vary based on crystals and metals chosen for design. 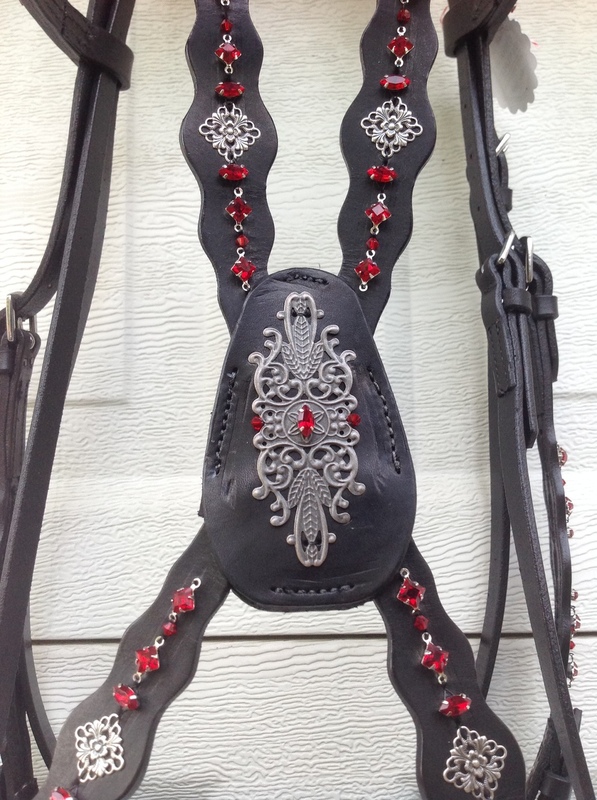 We do require a $100 design consultation fee to begin researching for the pieces and parts to create your custom bridle. This deposit will go towards the final purchase price and is non-refundable. 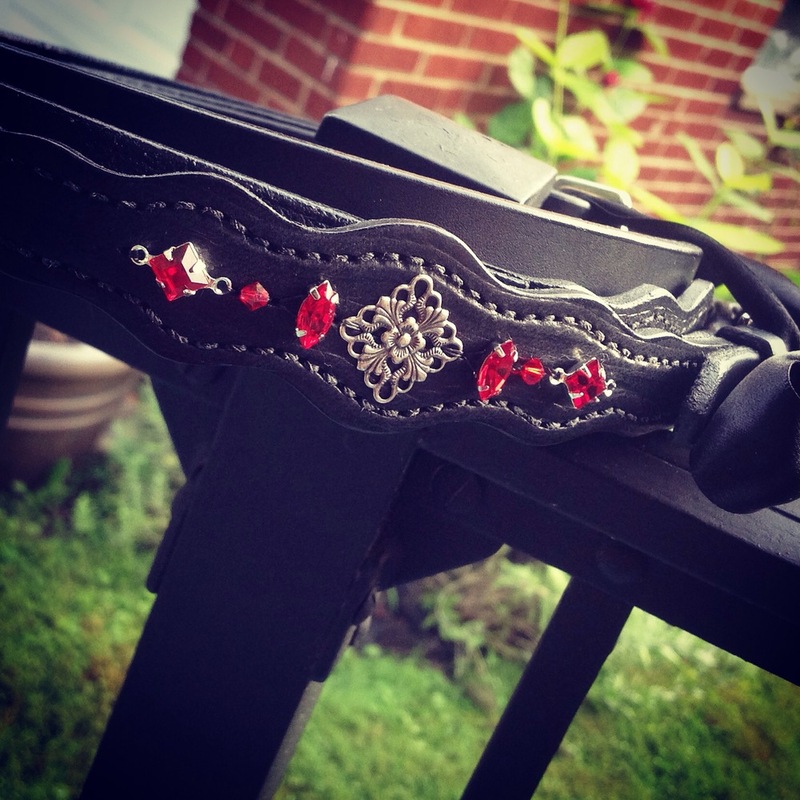 The newest addition to this line, our breast collars are also completely custom to match your bridle and/or costume. Prices start at $450 and vary based on crystals and metals chosen for design.